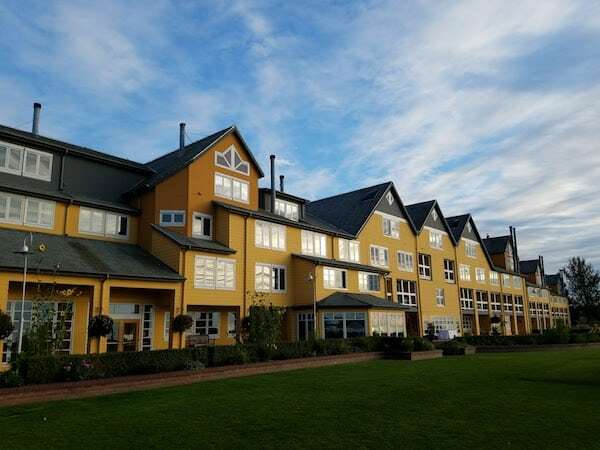 Last November, Extreme Hotel Deals highlighted a discounted rate at Semiahmoo resort. For $79 per night, you could book any room type during certain weekends during fall 2017. 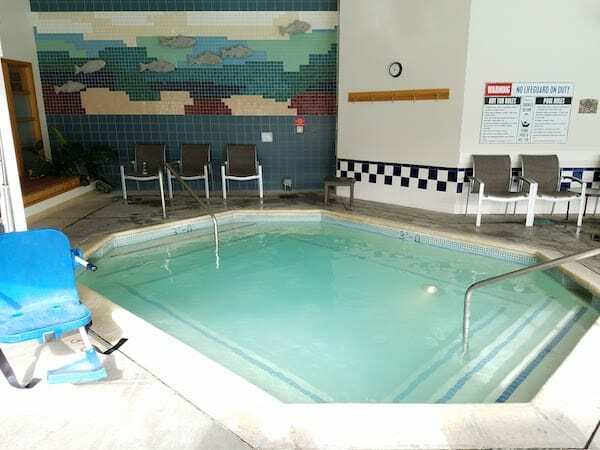 The deal included a $98 per night spa credit. It is a property I have visited before and really enjoy, so it was a no brainer to book. 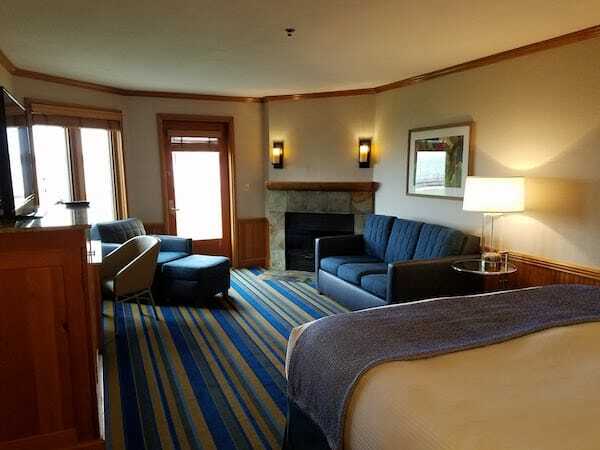 My family also booked two additional rooms to make a family weekend getaway out of it. 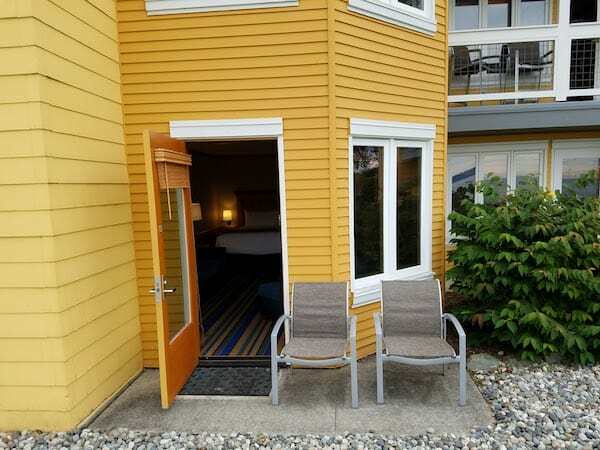 I booked a Waterview Deluxe Room rather than the more spacious Junior Suite as it had direct outside access. 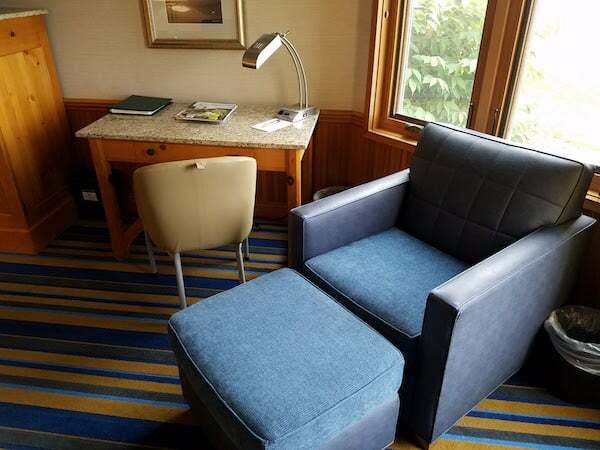 As all rooms were the same price, this felt like the best choice for me. 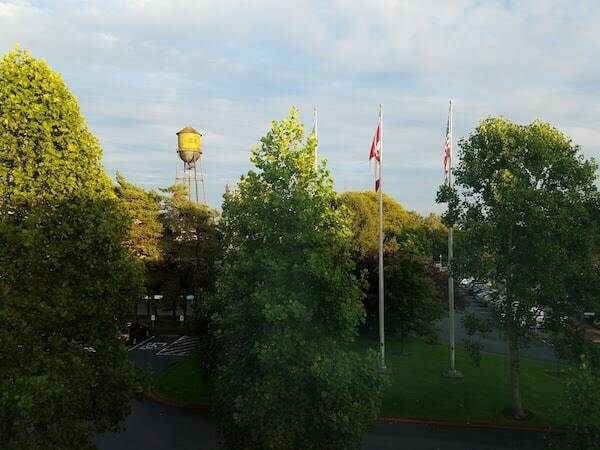 Semiahmoo opened in 1987 with 198 rooms on the site of a former salmon cannery. Besides the hotel and spa, there is a marina, public park, golf course and residential development. 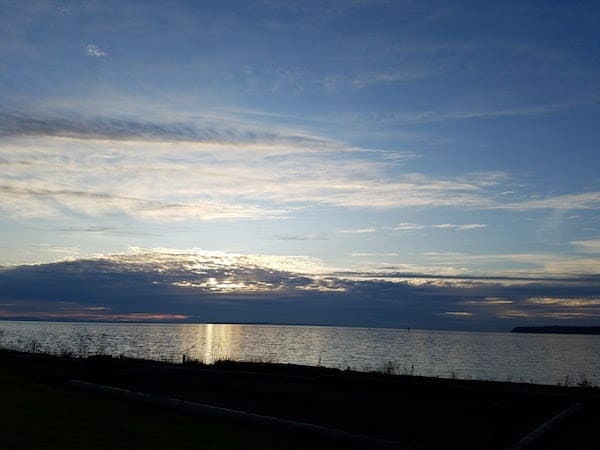 Semiahmoo is a resort located near Blaine, WA, just south of the USA/Canada boarder on the Strait of Georgia, an inlet of the Pacific Ocean. 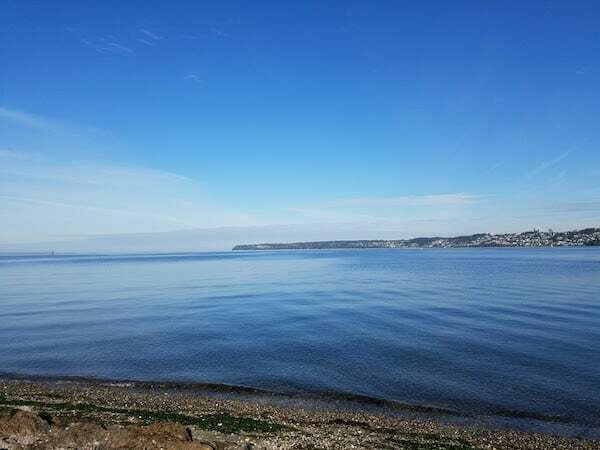 It is a 2 hour drive from Seattle and 1 hour from Vancouver, Canada. 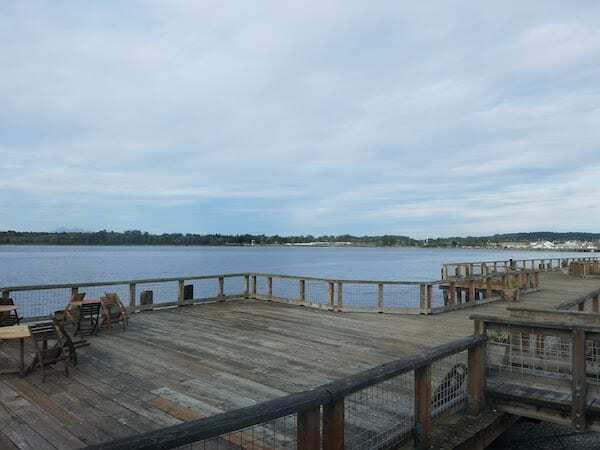 Located on a spit, the resort has water views from much of the property. We checked in around 5pm on Friday evening and there was no wait. All three of our rooms were ready. One of the staff mentioned she had heard about the deal; that it was a mistake and was only available for about a day. I am glad they decided to still honor it. 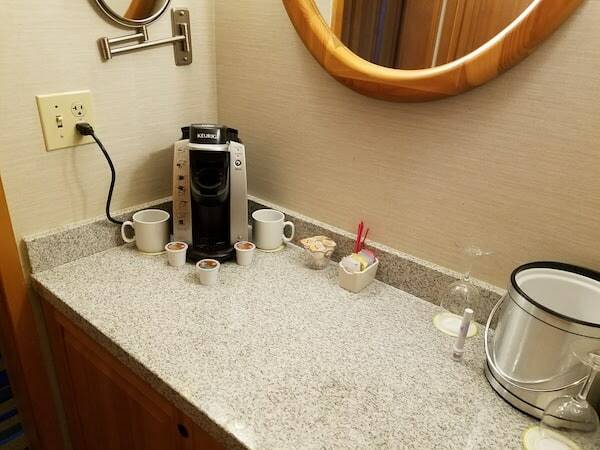 Being in a remote location, my guess is that a lot of the reservations during the mistake period were canceled by the guest. I pre-booked my spa service and confirmed it at check in. 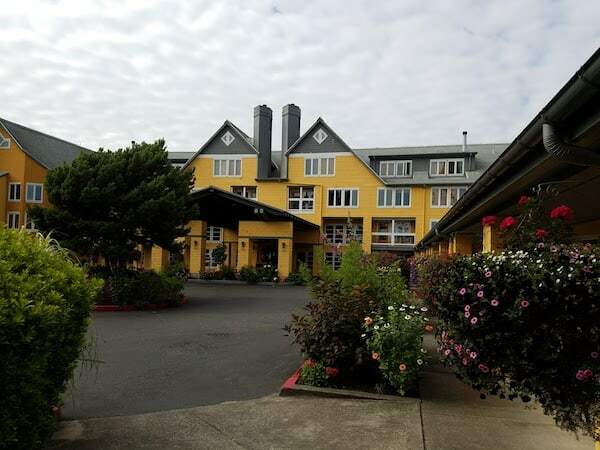 Semiahmoo is not part of any chain or loyalty program so you won’t get any points for your stay apart from credit card rewards. I believe at one point it was part of Coast Hotels group, however now it is managed by Columbia Hospitality. It is currently owned by the Wright family that also own the Seattle Space Needle. 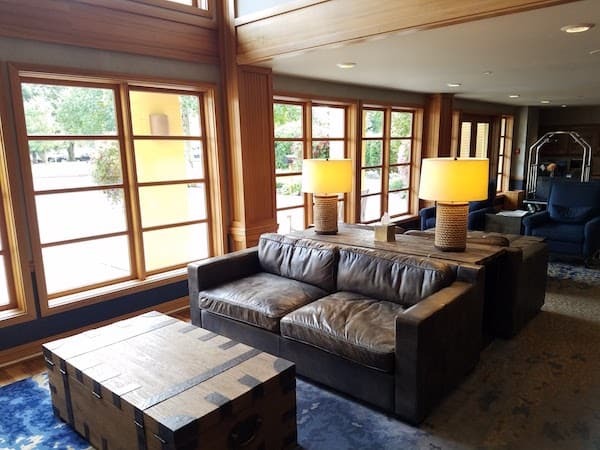 The lobby of Semiahmoo is northwest casual with a bit of an industrial vibe. Overall, the property is outdated. Not much has changed since the late 1980’s and it shows. Still, they have updated small things in the common area so it doesn’t feel totally dated. New carpets, furniture and wallpaper update it slightly. I was assigned room 1116 which is on the ground floor. 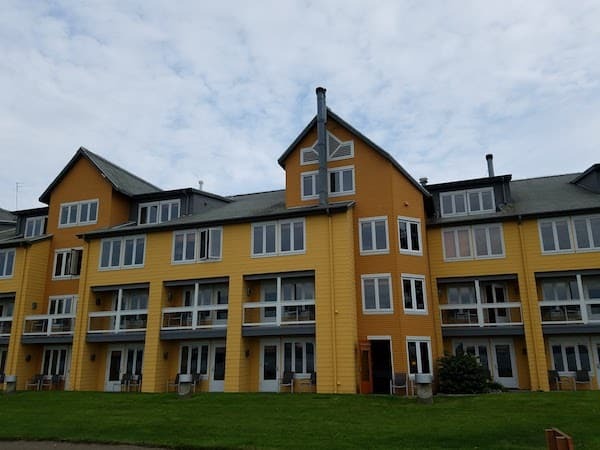 There are a total of 4 floors with the first floor having patio access and the second floor rooms have private balconies. 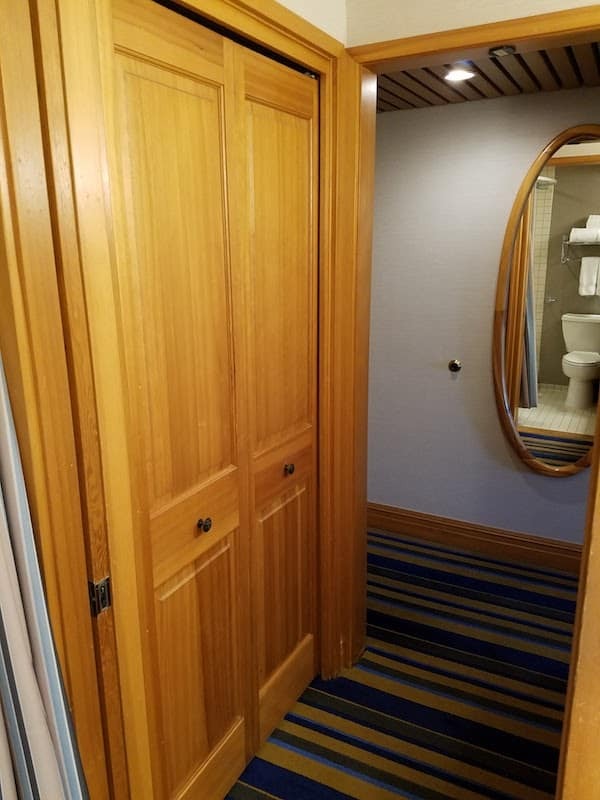 As you enter the room, the bathroom is to the right. It then opens into the main portion of the room. 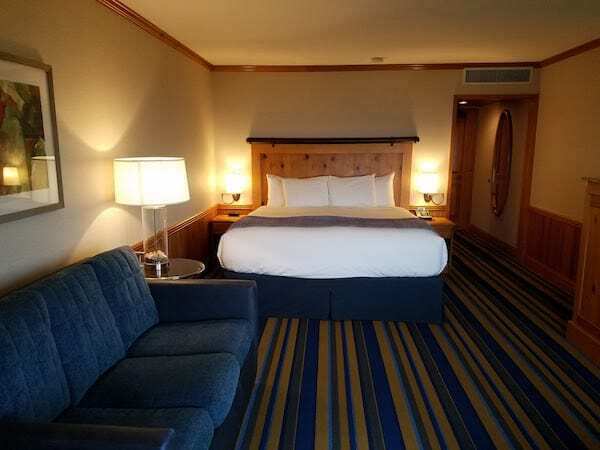 As my room was a Deluxe King room, there was only one bed which was against the back wall with views of the water. The Queen rooms fit their two beds against the side wall and do not have direct views while in bed. 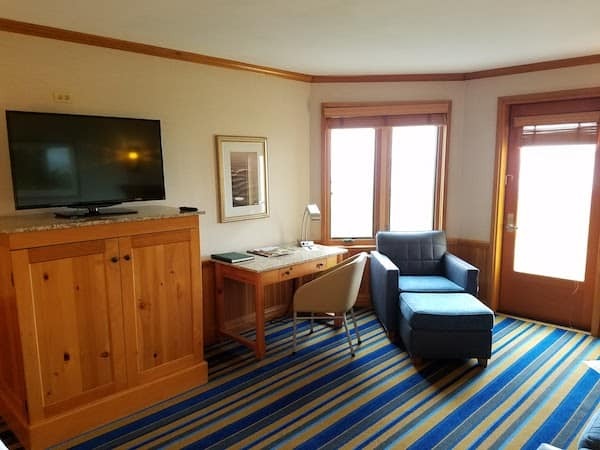 The King Deluxe room also adds a fireplace. 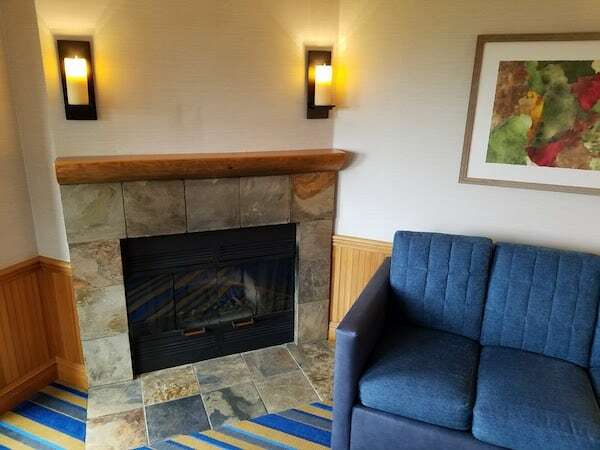 Note that the fireplace is not gas powered so if you want a fire, I suppose you would have to call down to the front desk. One either side of the bed is a wall mounted reading light. 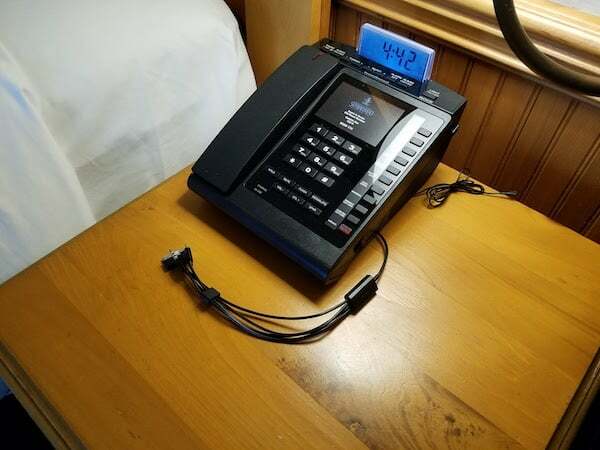 One one side is a new telephone that includes built in clock, radio, and phone charger. I don’t know why more hotels don’t have this type of phone; it is very useful. 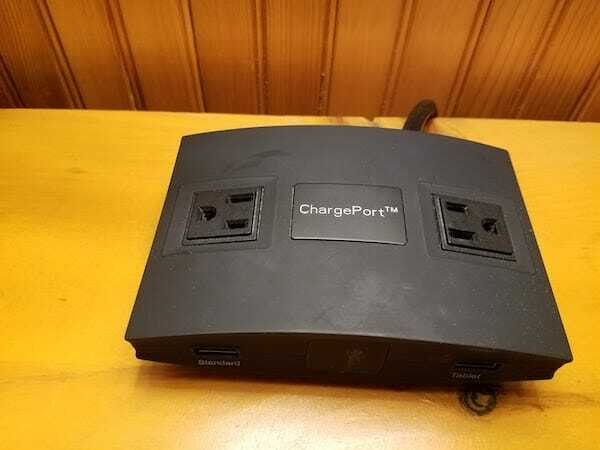 The other side of the bed had a power hub with outlets and USB chargers. 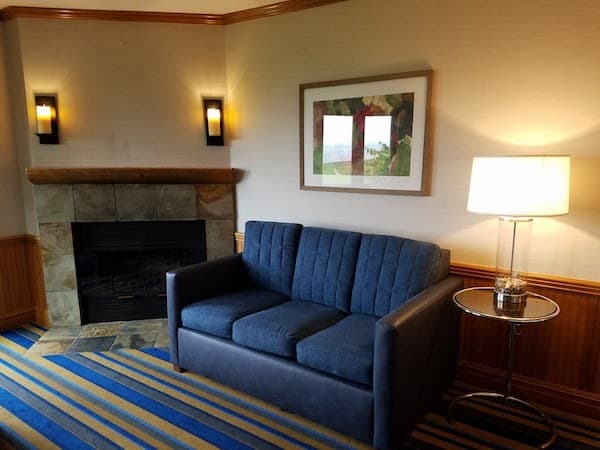 Next to the fireplace is a couch that can be folded out for a second bed. The couch is well worn and could use replacement. The faux candles on either side of the fireplace are turned on with a wall switch. There clearly was a piece of art above the fireplace at some point as you can still see the screw sticking out of the wall. I noticed that there were many walls missing art throughout the property; my guess is they are updating the decor. 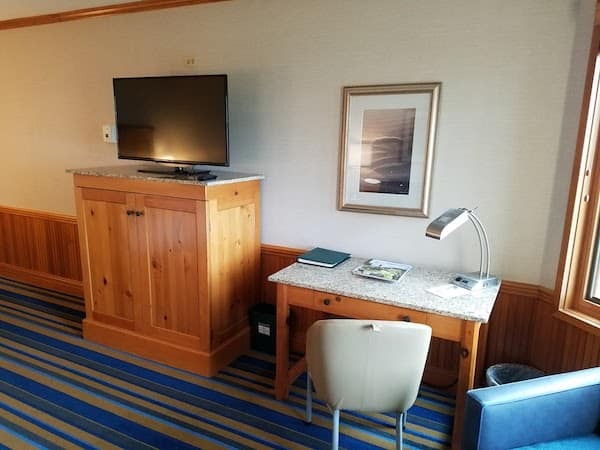 Across from the couch is an arm chair, desk, and armoire with TV on top. 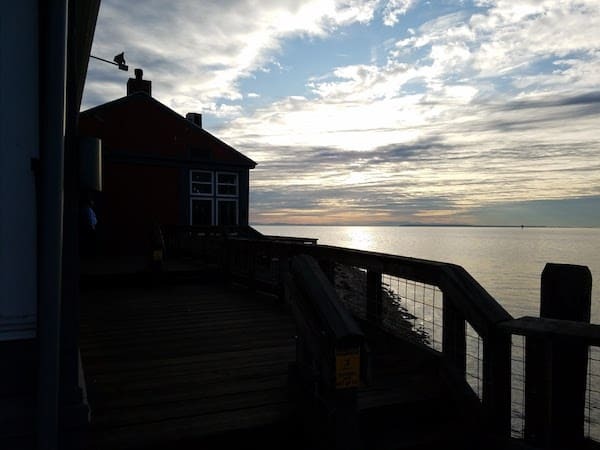 A portion of the wall is slightly angled to allow for better view of the water. A door leads to a small patio with two chairs and grass. 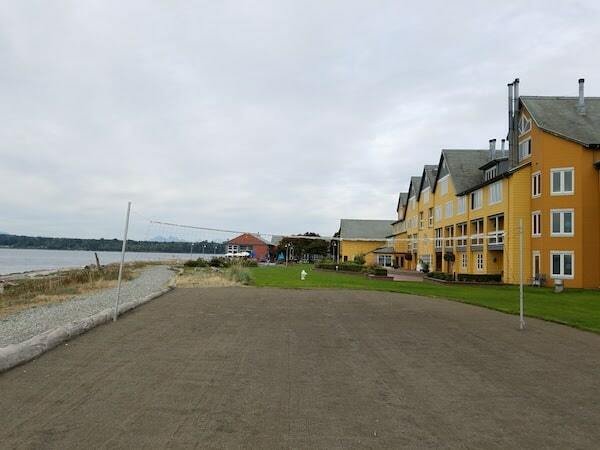 Beyond the grass and volleyball court is the beach. 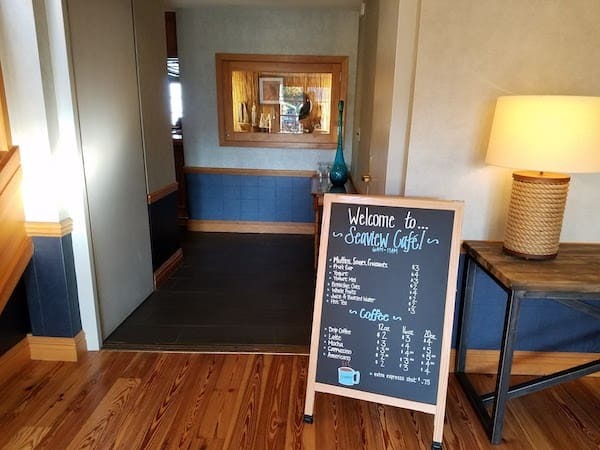 Overall the decor is dated but can be excused by chalking it up to sticking with the classic northwest lodge theme of light wood and blues and green color scheme. 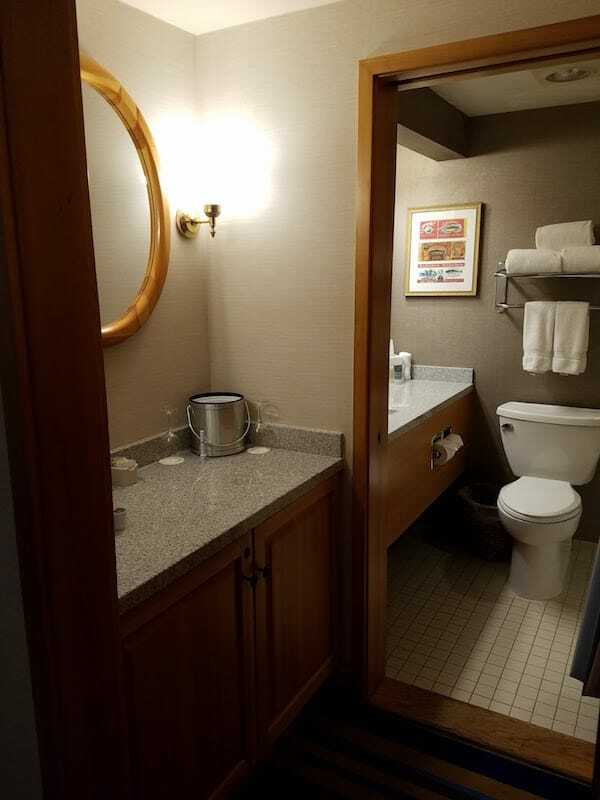 The bathroom has two portions. The outer area has a closet and counter space with coffee maker. 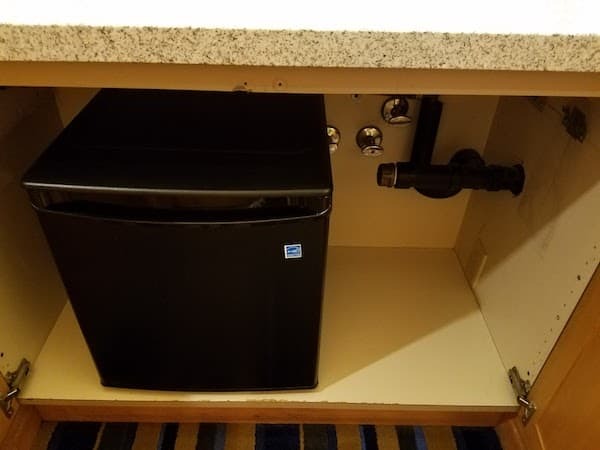 Below the coffee maker is a mini fridge. 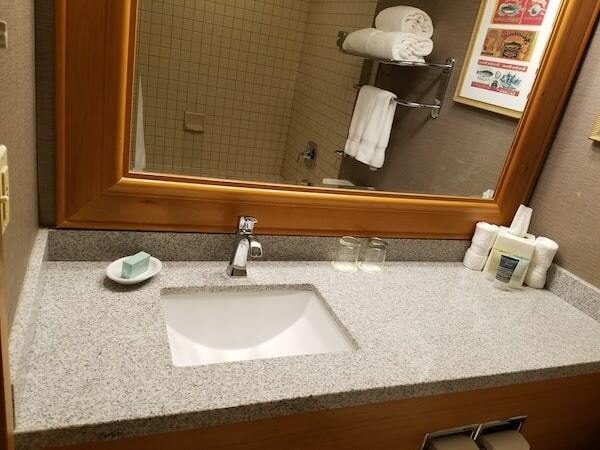 The inner portion is small and includes a single vanity with plenty of counter space. The wallpaper is fresh and adds a modern touch. The bath tub is very dated. 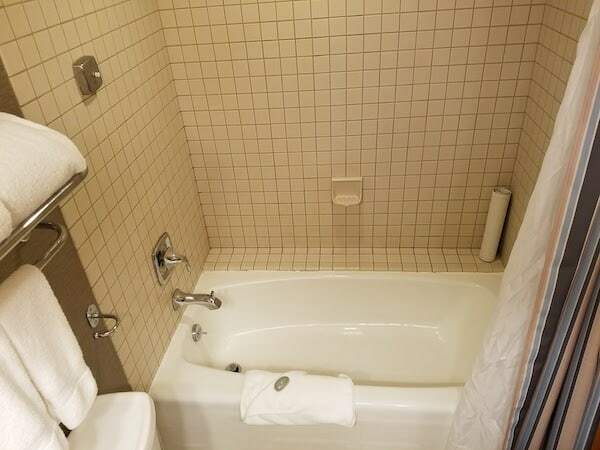 It is spacious but the tile is straight out of the 1980’s. 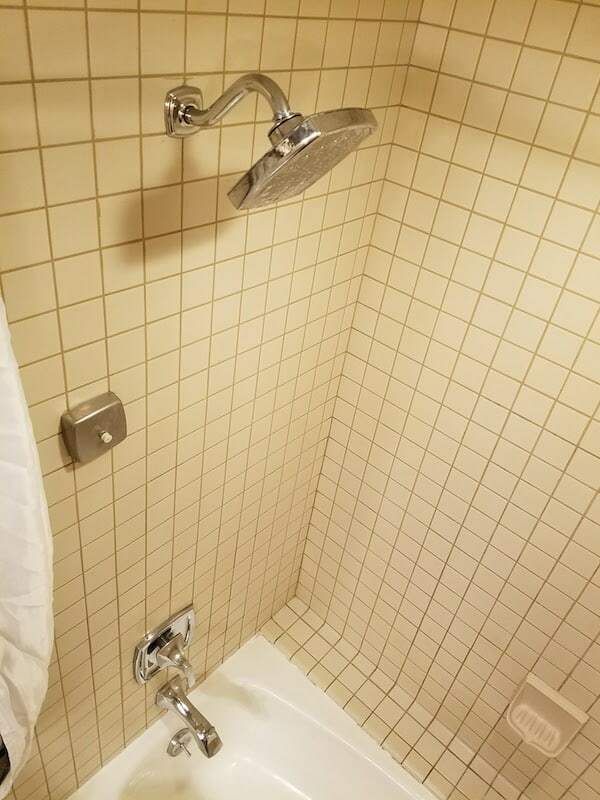 The curtain is at a curve to give additional space when showering. The shower head is basic but allows for good coverage with high water pressure. 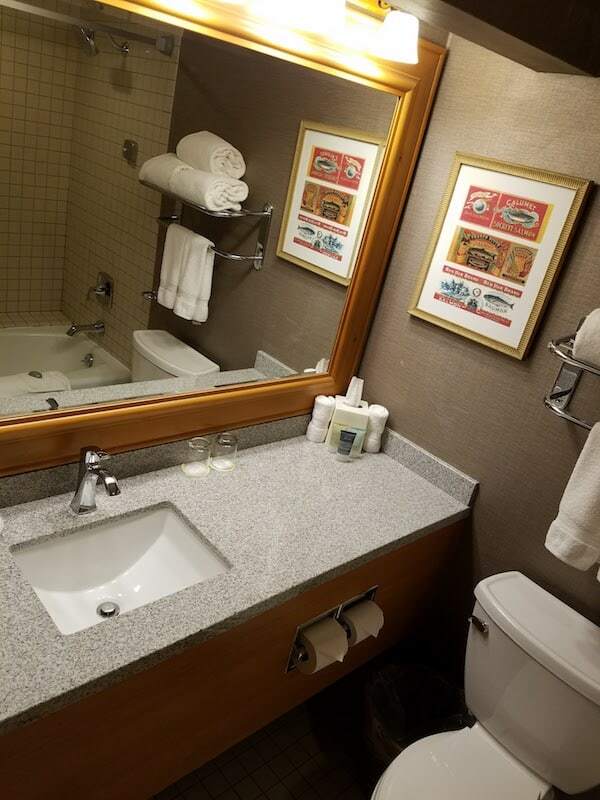 The room and bathroom were mostly clean, though there were shows of age throughout and small details that need attending to. 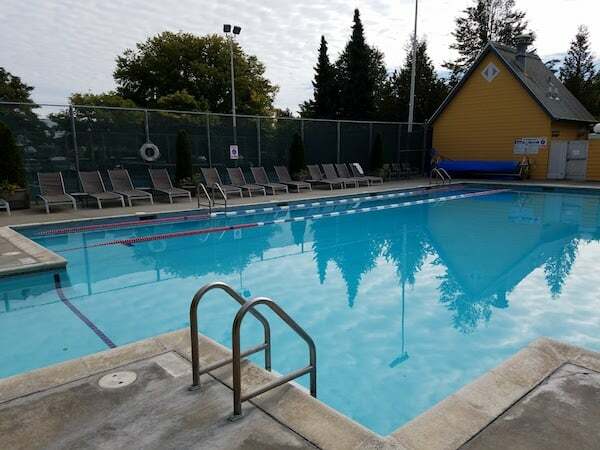 Semiahmoo Resort has a large pool with hot tub and plenty of deck space. 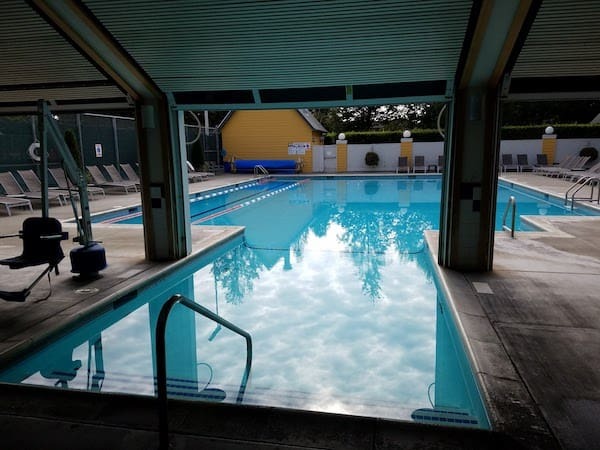 The pool is heated and large garage doors close in the winter to allow swimming and hot tub use year round. 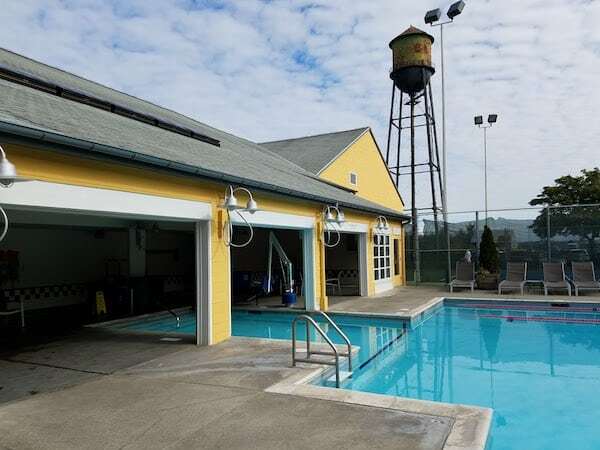 Beyond the pool are both indoor and and outdoor tennis courts. 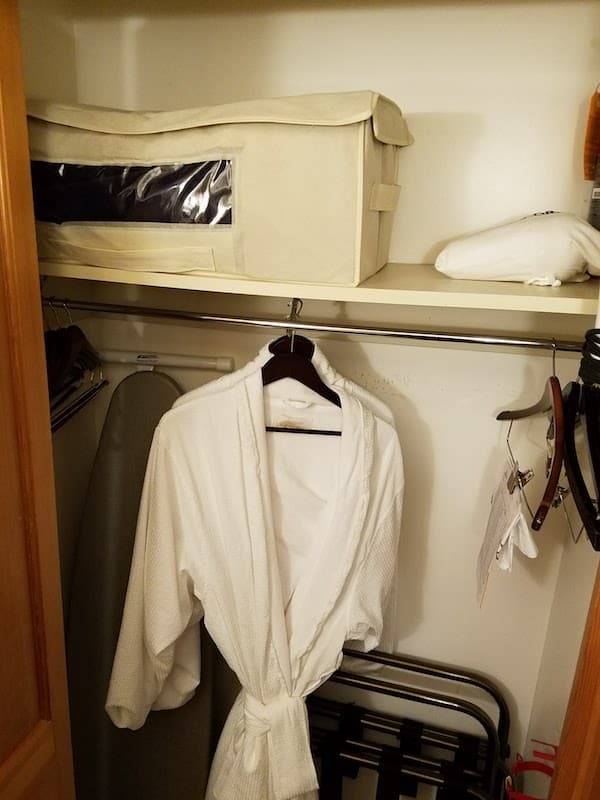 A locker room is shared by all facilities and the spa. 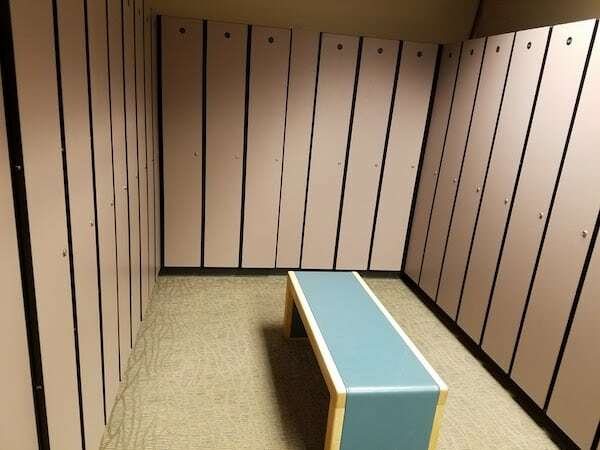 The locker rooms each have a steam room and sauna and large banks of lockers. The spa area feels quite dated. The spa offers both massage services as well as salon services. I booked an 80 minute massage that was covered with my spa credit. It was an okay massage, definitely not the best I have had but for a small(ish) resort property, they have done a good job. 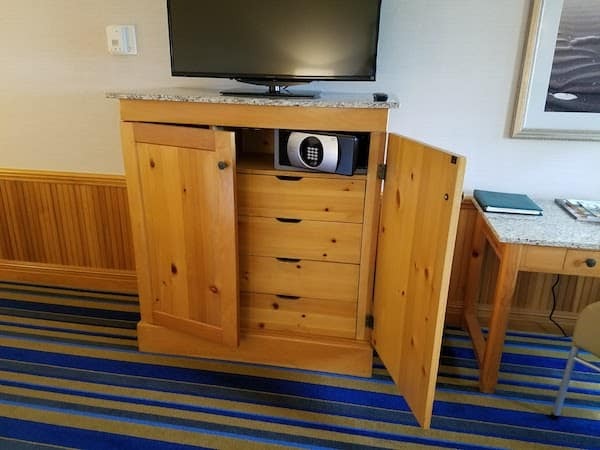 My one complaint is they are very miserly with their towels. You get one in your locker and there are no additional towels in the locker room. If you want another, you have to leave the locker room and go back to the spa front desk. 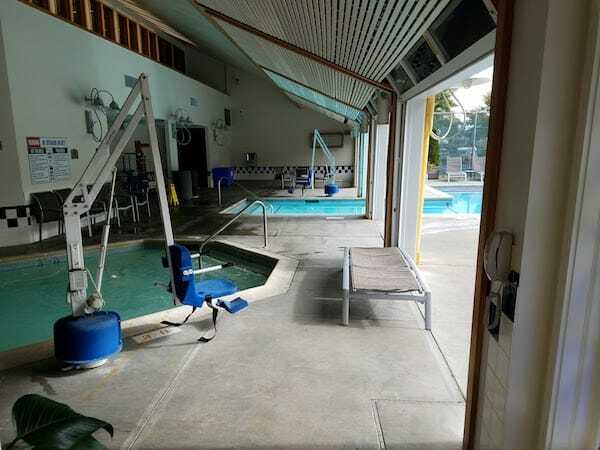 In addition, there is a gym upstairs from the spa for those looking for a work out facility. 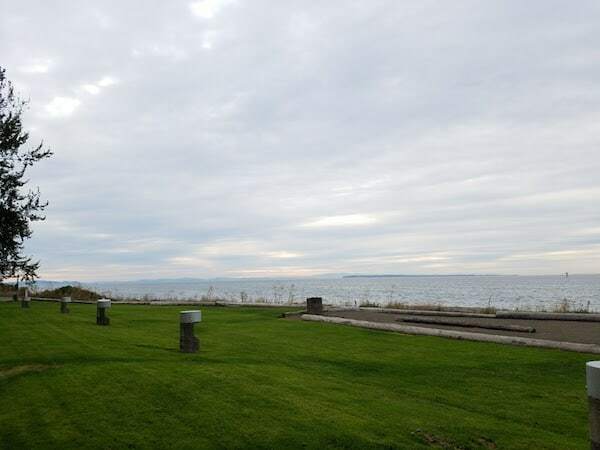 Semiahmoo also has a volleyball court, lawn games, horseshoe, giant chess board, and bikes to rent. During the summer, they have additional water activities. In the evenings, they set up a bonfire with s’mores. There are two restaurants on site. 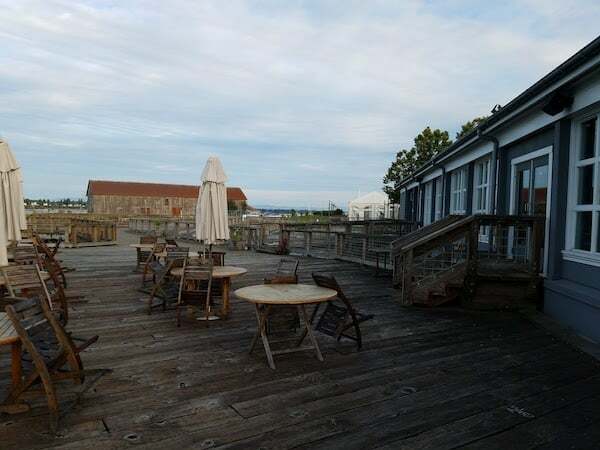 The more casual option is Packers Oyster Bar in a modern pub space with amazing direct views of the water. Sports are on TVs during the weekend. In addition to tables, there are more casual lounge seating and a full bar. Next door is the Pierside Kitchen. 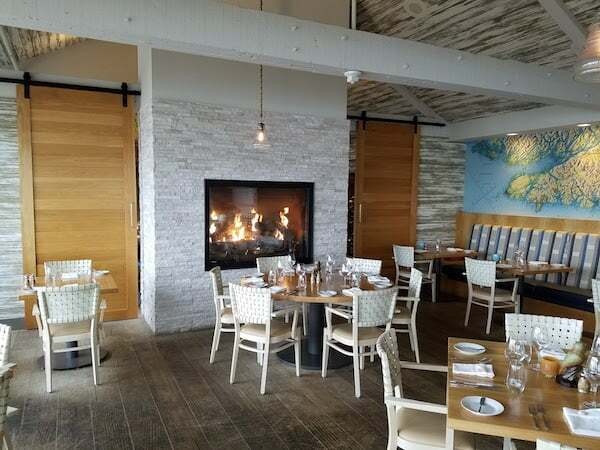 The menu is similar but the decor is lighter and more beach themed. It has a morning buffet for $19 per person. The rest of the time it is full service. Both restaurants are reasonably priced (high end but won’t break the bank by any means). Food was very high quality at both locations (they share a kitchen). 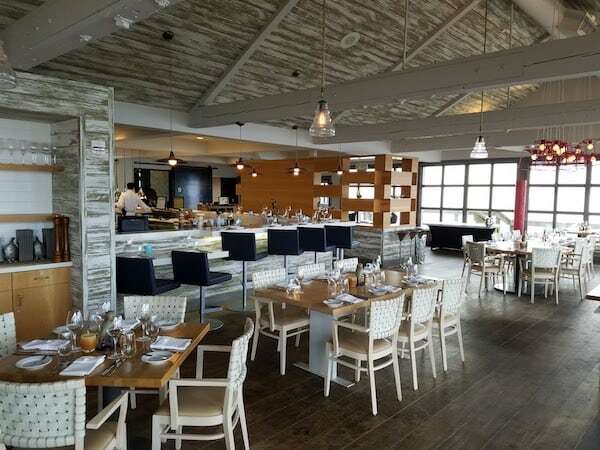 Lots of locally sourced dishes including a ton of seafood options. 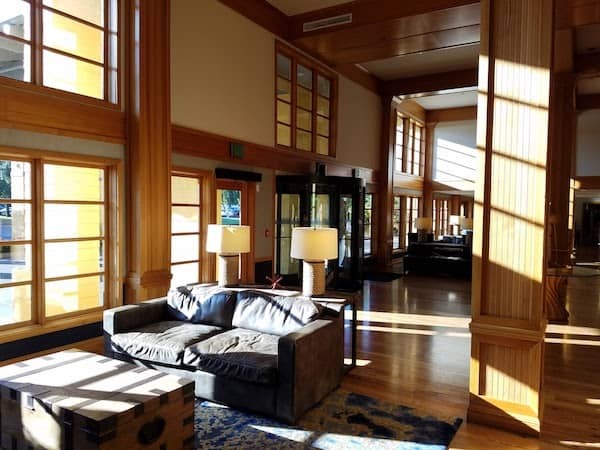 In the mornings there is also a coffee shop off the lobby that serves coffee and pastries. The property is well cared for. The landscaping is beautiful, with a lot of flowers even in the fall. The grass is kept very green. My two complaints are that there are small details that could use some attention (screw missing from outlet plate, paint touch ups needed, anchors in the wall with no art hanging) and things could be kept a bit more clean around the grounds. I found a lot of cigarette butts. The service was good. I found most of the staff in the restaurants to be on top of it. The front desk agents were quite confused about our reservation at check out. It took nearly 30 minutes to check out and my agent ended up needing to get a manager who fixed it in a few minutes. My original bill was $1100. The next time it was $440. Finally it was $225, which was actually slightly less than I thought it would be. It being an odd rate, I don’t hold that against them, but it showed that the staff were not very well trained in how to fix a bill and even the agent told me that they were all new within the last year. 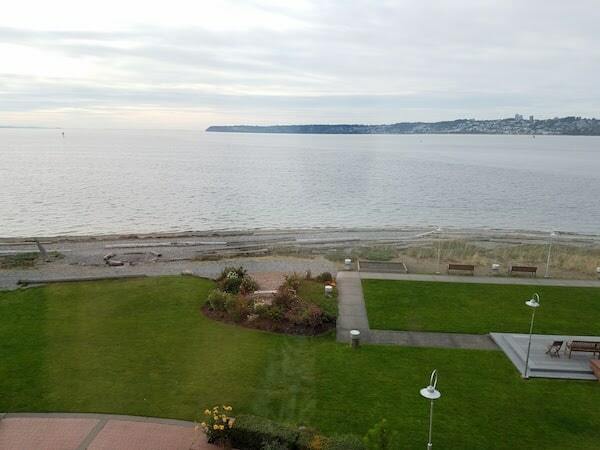 My family has stayed at Semiahmoo in the past and based on our stay this past weekend, we plan to visit again. 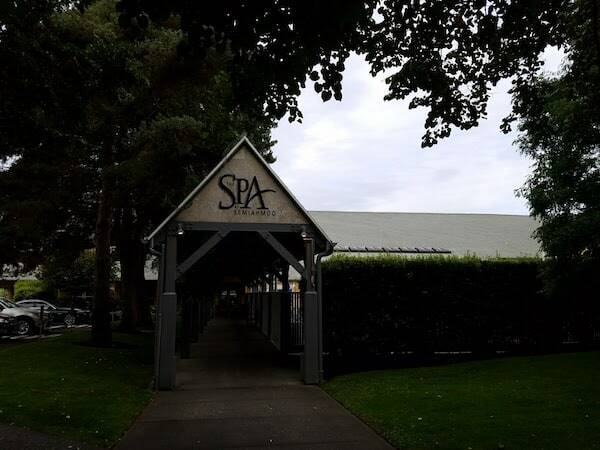 The deal was fantastic considering it included spa services valued at more than the paid rate of the room. That the room categories were the top made it even better since the resort offers such great views. 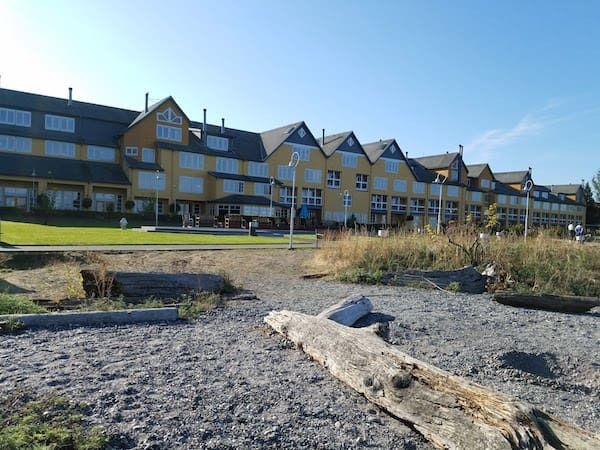 If you are looking for a northwest experience, which includes seal and otter spottings from your room, Semiahmoo Resort is a wonderful, family and pet friendly option. 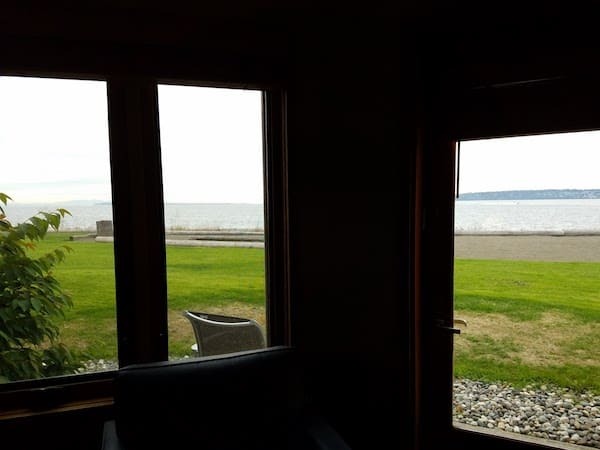 Nice review of the semiahmoo resort. Spent my wedding night there in 1993 before heading to Europe for our honeymoon. Very cool! Probably hasn’t changed too much.